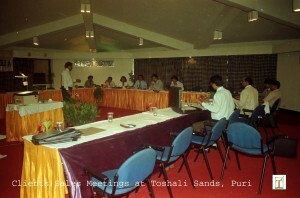 Why Toshali Sands is The Place for Next Corporate Meet ! 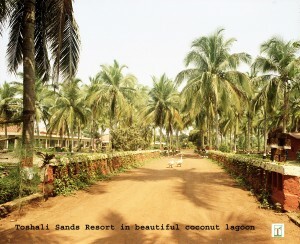 30 acres of lush greenery, beautifully landscaped, on the stunning Konark marine drive Toshali sands, the ethnic village resort was designed and conceived to be an ideal environment in complete harmony with the habitat. We have one of the country’s most comprehensive conference and convention Centre, 103 rooms, health spa, the Phulpatna restaurant with its multi cuisine spread. 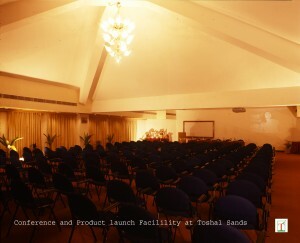 Toshali Sands, has the largest conference centre in Orissa ” now its is called ODISHA”, located in the Temple city, Puri, the abode of Lord Jagannath. 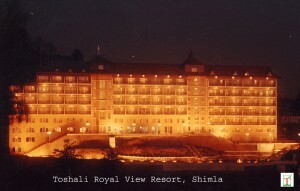 Its unique location, surrounded by the sea, river, reserve forest and acres of greenery, makes Toshali an ideal conference destination with leisure. 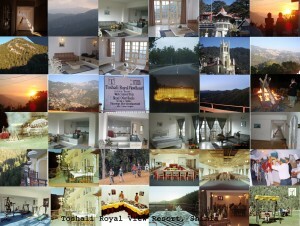 We strove hard to provide a set up with facilities equivalent to any five star resort hotel. 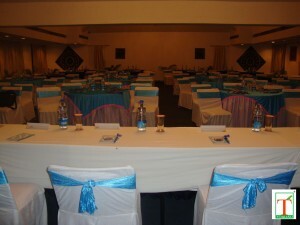 Indraprastha is our large conference hall that can accommodate between 44 to 220 plus depending on seating arrangements. 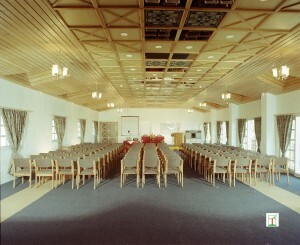 Panchayat Conference hall can accommodate upto 200. 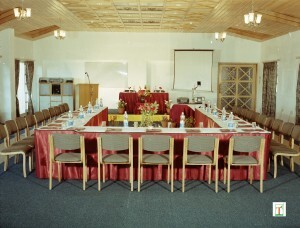 And Mantrana Conference hall – the smallest can accomodate upto 100 people. We offer you Audio – Visual facilities, use/hire of PCs and printers, Secretarial Services, Telephone, Fax, E-mail & other matters of communication, providing materials for writing, etc. We’ve thought of everything to create the perfect atmosphere. Your dedicated conference coordinator will act as your personal point or contact for all arrangements we offer a lighter buffet lunch and breakfast, as well as tradition fare. Should your event call for themed Gala dinner, bar-be-que, or a special menu of any kind, you’ll find the hotel welcomes your suggestions and requests. 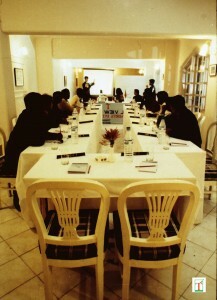 Today’s conference organizers and training providers recognize the great potential of time outside the seminar room. At Toshali Sands, we have taken care to ensure that we offer the best strange of in-house and external activities to complement to your conference programme. So you can relax individually in the swimming pool, sauna, hi-tech gym or exercise room etc. We can help you include team-building activities in your schedule with combat or adventure games. Through Toshali Sands, you also have access to a wide range of adventure activities designed to challenge and motivate, from forest trekking, beach walk, river crossing and lots more. You will find your Toshali Sands, conference co-ordinator more than happy to organise special events for whole conference, for a small VIP group, or as individual incentives. We can even arrange an workshop with the world renowned sand sculptor Sudarshan Patnaik for you. We are also in the process of identifying a cycling trek through the banks of the serene Nuanai, the reserve sanctuary and who knows in seasons maybe para-sailing and kite boarding too. 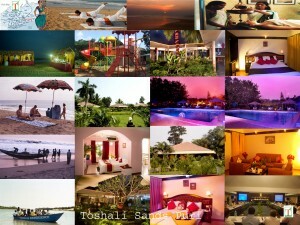 Toshali Sands depends on YOU for the inputs and ideas. We are what you want us to be. Jhulana Yatra ia a favourite pastime of Srimati Radharani and Lord Sree Krishna’s. It celebrates Srimati Radharani’s yearly sojourn to Varshana to her parents’ house. Another myth is that with the onset of monsoon, when the nature assumes green form, Sri Radharani prepares a swing deep in the jungle and invites Lord Krishna for ‘Raasleela’. In Vrindavan among the local villagers and inhabitants this festival lasts for 13 days. It starts on Shravana Dasami, the bright fortnight and lasts until the full moon night of the month. Some of the main temples where this festival is celebrated at are the Banke Bihari Temple and the Radha-Raman Temple in Vrindavana, the Dwarkadish temple in Mathura, and the Larily Lal Temple in Varsana, and selected Mathas such as Emarmath, Radhaballavi Math, Uttarparsa math and many mothas and the temple of Lord Jagannath in Puri, Odisha. In some temples it is observed only for seven days. In some temples on all five days from Ekadashi to Poornima. Jhulana is celebrated in other parts of India in Shravana. For example in Shree Kshetra Lord Jagannath’s Utsav Vighraha (Madan-Mohan ji), celebrates Jhulana from Shravana Shukla Dashami (10th phase of the Moon of the light fortnight) until Pratipada (1st tithi of the dark fortnight), a period of seven days. Sri Madanmohan ji, goddess Laxmi and Vishwadhatri are placed on a decorative wooden swing on Muktimandap of Puri (Jhulana Mandap). There worshippers swing the Lord, symbolically playing with and entertaining the Lord of the Universe. On the day of the full moon (Gamha Purnima or Jhulana Purnima), Lord Balabhadra’s appearance day is celebrated. Lord Jagannath is but another form of Lord Krishna, but Jhulana Yatra became popular in Puri, Odisha after Sri Chaitanya visited and the festival in the temple was first initiated by the Gajapati king Dibyasingha Dev-II (1793-1798). These days Jhulana Yatra is scrupulously observed in the temple of Lord Jagannath and other Mathas in Puri, for a week. In the ISKCON headquarters in Mayapur Jhulan is a major festival. It is one of the Astaka Lila pastimes of the Lords. It is celebrated for 5 days. The Lord Shree Krishna resides as Jhule Lal in Gujarat and festival of Janmasthami is celebrated in dedicated temples in a big way, during month of Shravan, for example in Dwarka. Vaishnavism is popular in Manipur too. Mandil Nartan is a festival dance performed during the Jhulana Yatra there. The dancers use small cymbals (Mandila) to provide the musical accompaniment to their dance depicting Sri RadhaKrishna on the swing surrounded by Gopis. 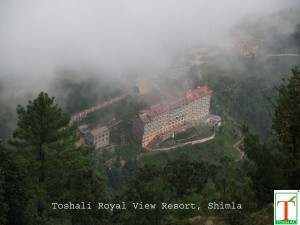 This year Jhulan Yatra is celebrated on 19 August 2010 for next 13 Days. Toshali Resorts has exclusive arrangement to manage your tour and travel to witness and make you participate in Jhulana Yatra Festival. 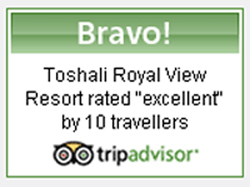 Contact your travel manager metu@toshali.in or just post the details on the comments to find out more details. Share this blog post with your friends, peers, family religiously… Any information you feel we have missed, please feel free to post the update on comments and conversation. ~~ Radha Ramana Hari ~~ …. Keep Chanting…. On the midnight hour of August 15, 1947 India got its freedom. There was delirious excitement as the new sun dawned on a new country. A freedom won at much cost, an occasion to be cherished and remembered for eons to come. A nascent, bruised nation faced a lot of challenges along the way; we have a long way to go but are happy to be here. During school it used to be a flag hosting ceremony, followed by a full day’s telecast from Doordarshan – patriotic films, holiday, delicious smells wafting in from the kitchen, playing in the dust with equally scruffy friends and then a minor scolding later, after a delicious lunch – a little nap, then usually an outing on a stately rickshaw. Off late the day means pleasant traffic, a thinly populated office, decorated with rangolis and the customery samosa, jelebis, shared with the lucky/unlucky ones working on the day. 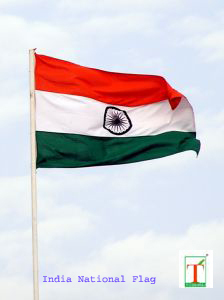 The Prime minister would hoist the tricolour and address the nation from the ramparts of Red Fort, like always. This year inflation, rising prices, red terror, commonwealth Games mess will likely be issues he addresses. But as a nation we are entering a stage where the next 20-25 years would shape the destiny of the country for a long time to come. 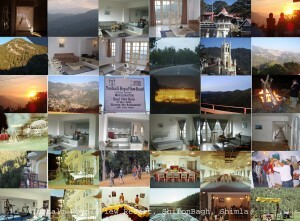 For me August 15 is usually a working day but between renewing your pledge for a better tomorrow you can drop by at a nearby resort – add the Friday, the Saturday and maybe the Monday – a short drive to Shilon Bagh, Shimla or a near empty bus to Puri – depending on where you are. The country’s birthday needs to be celebrated well and never let the sombreness of the occassion pull you down, for all its sombreness the very word independence is a synonym of joie de vivre for me. Born free, forever free. Laud the achievements of the country but remember if everyone of us does their bit the country would be better, for it is not soil that make a land – its people. We all know a lot about the pros and cons of our beloved motherland but for me August 15 has always remained and will always remain a personal experience, one which you can feel but can’t express. Prior to this 64th Independence Day I will renew the pledge to do my bit, do join me – as drops makes an ocean so will each of us take our motherland just that little bit forward in her journey.